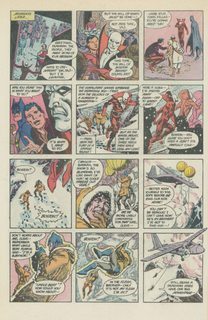 Deadman (Collection) (1986-2011) : Deadman (Boston Brand) is a fictional character, a comic book superhero in the DC Comics universe. He first appeared in Strange Adventures #205 (October 1967), and was created by Arnold Drake and Carmine Infantino. 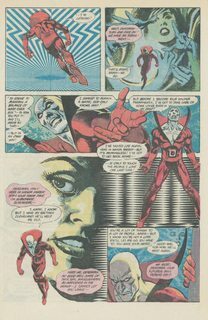 Deadman is a ghost, formerly a circus trapeze artist named Boston Brand who performed under the name Deadman, a stage persona including a red costume and white corpse makeup. When Brand is murdered during a trapeze performance by a mysterious assailant known only as the Hook, his spirit is given the power to possess any living being by a Hindu god named “Rama Kushna,” in order to search for his murderer and obtain justice. It is established in Green Arrow Vol. 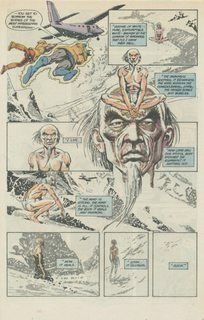 4, #4, that Deadman believes Rama is the supreme being of the universe.